Can Coffee Help Reduce The Risk Of Diabetes? HomeCan Coffee Help Reduce The Risk Of Diabetes? Diabetes is a disease in which the body does not produce or properly use insulin.Insulin is a hormone that is needed to convert sugar (glucose), starches and other food into energy that we need to live our daily life. The cause of diabetes continues to be a puzzle, although researchers know that both genetics and factors such as obesity and lack of exercise appear to play vital roles. Research suggests that people who drink coffee are less likely to get type 2 diabetes. 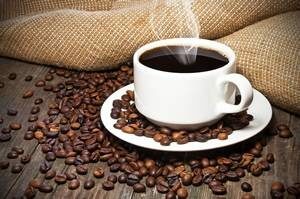 It isn’t known whether the caffeine or some other ingredient in coffee is responsible for its protective effects. The researchers wanted to see whether there’s a link between drinking coffee; green tea, black tea, oolong tea and diabetes. Participants in the study completed a questionnaire about their health, lifestyle habits, and the amount of tea and coffee they consumed. The questionnaire was replicated at the end of a 5-year follow-up time period. Other factors were accounted for and researchers found that the more green tea and coffee participants in the study consumed, the less likely they were to get diabetes. Participants who drank at least six cups or more of green tea or three or more cups of coffee each day were about one-third less likely to get diabetes. The link between the two was stronger in women than in men. No noticable pattern was seen with oolong or black tea.